Wellup, it’s that time everypony — BronyCon 2015 registration is now a go! This is not a drill. And for those who missed it last night/this morning at midnight, AMC’s Comic Book Men had a BronyCon ep last night, and You can watch the BronyCon scene here . Brian Johnson as Derpy. Enough said y’all. Awesome. BTW, for those of you who are FOC (Friends Of Cider), the BronyCon Bar Crawl registration is also live: https://www.eventbrite.com/e/3rd-annual-brony-bar-trot-tickets-12594706105 Last year sold out, so hop to it y’all! Read on for all the official deets from the BronyCon PR ponies! (BALTIMORE)—BronyCon is pleased to announce that its website, http://bronycon.org, is now live for its 2015 event, which will be held Aug. 7-9 in the Baltimore Convention Center. If you are looking for ways to help the convention, there are a number of ways for you to do so. Go check out our staff applications on the website or tell us what events you’d like to host at our con through our panel applications. Furthermore, sponsor badges have now been added to BronyCon’s registration page, so be sure to head over there and check it out! BronyCon’s 2014 event will be featured on Monday’s episode of “Comic Book Men” on AMC. The show airs at 12 a.m. (EST). Be sure to tune in for a fun take on the convention like only Kevin Smith’s crew can deliver. For more information on this event, visit http://bronycon.org/. Also make sure you are following BronyCon on Facebook, Twitter, Tumblr, and Google+ to be the first to hear our latest announcements. 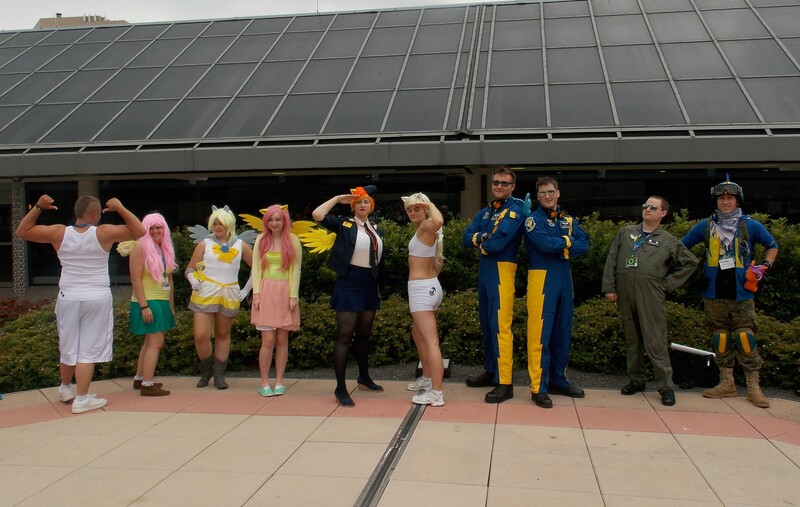 This entry was posted in Baltimore News, Convention-al, Pony News and tagged BronyCon, Comic Book Men. Bookmark the permalink.